The problem with most Intex type pools is the pump and filter system that comes with them does not work very well. Sandman has introduced a new Sand Filter Sytem for Intex type Pools. 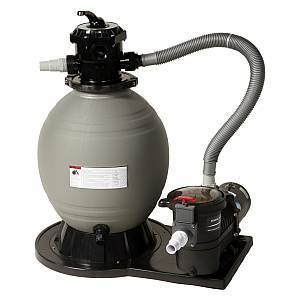 Sandman's construction and reliability will keep your pool cleaner and this system is very easy to operate. The filter tank is constructed of durable polyethylene that is able to withstand harsh winter weather as well as those hot summer days. The top mounted multi port valve makes using the system and backwashing quick and easy. Since there is no cartridge to clean, this system requires very little maintenance. 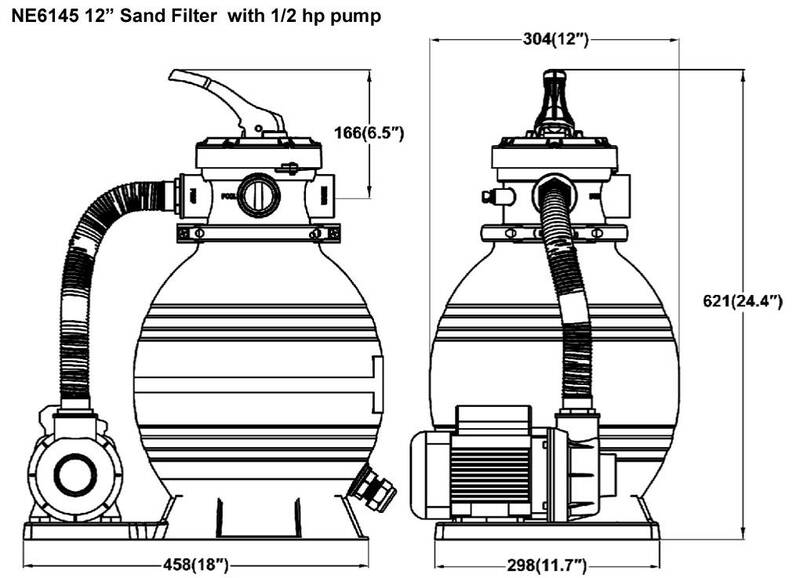 In addition to the rugged, corrosion proof filter tank the Sandman system is powered by a 1/2 HP pump. The pump provides an impressive flow rate and is quiet and efficient.